London, 23 Jan 2012 -- A major shift in global power M&A is taking place, ending a six year-long era of European dominance in power deals. The power deal world is heading in new and different directions that will lessen the impact of the eurozone crisis on deal totals, according to PwC's annual Power Deals report released today. The eurozone crisis is having a double-edged effect on deals. On the one hand it is constraining finance while on the other it's expected to lead to deal flow. It's prompting a flow of privatisations as governments sell power assets as part of their austerity measures. It is also leading to further currency weakness, strengthening the hand of overseas buyers. Asia Pacific buyers and sellers were behind the largest number of deals in 2011 and any softening of valuations in Europe will likely reinforce their deal interest in the European marketplace, as well as the strength of the yen and renminbi against the euro. 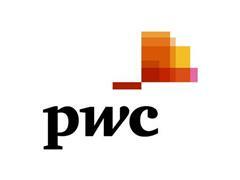 Manfred Wiegand, global power and utilities leader, PwC, said:"It's a different M&A world that is less euro-centric. European companies are looking to South America and other growth markets. Asia Pacific buyers are busy in Europe. The US deal flow is compelling and has further to go if current deals get the regulatory green light. There are plenty of reasons to expect deal flow to continue unless the current crisis has a worldwide recessionary effect." In the last 12 months, Europe has recorded its lowest share of worldwide power deal value since PwC started analysing deal-making in the sector in 1999, with the total deal value in Europe plummeting 43% year-on-year to stand at US$39.8bn (from US$70.3bn the year before). However, this US$30.5bn fall in power deal target value in Europe was more than made up for by a US$58.5bn increase in North America. US power M&A is being fuelled by the need for scale among the big power utility companies and gas pipeline companies. New sources of shale gas are creating capital investment challenges as well as growth opportunities for gas pipeline operators, spurring deals among companies. Big gas pipeline deals accounted for US$47.3bn of the recent US$58.5bn year on year rise in North American power deal value. A strong theme which is expected to intensify this year is European divestment programmes. The major European power utilities need to strengthen their balance sheets to make the big investments required in their core markets while retaining the flexibility to seek out growth markets. Eon and RWE are both planning major divestments in 2012. On the debt side, issuances have declined from 75.6bn euros in 2009 to 14.6bn euros in 2011 as debt markets contracted. In addition, across the whole European utilities sector, 15 groups have suffered downgrades in 2011 and 30% are on negative watch or facing downgrade reviews. This reduction in capital- raising options will continue to spur divestments by the major European power utilities. "European power utilities face a tricky balance. The issue of affordability of future energy prices is likely to see a shift to the utilities bearing more of the future cost of investment. At the same time their funding options are less flexible than in the past. "We're going to see some interesting new partnerships in the years ahead as companies intensify their relationships with alternative sources of funding. It will mean a step-up in partnerships with sovereign wealth funds, pension funds and infrastructure funds. The Chinese state-owned power companies could play a role as well as other active Asia Pacific investors." Power Deals includes analysis of all global cross-border and domestic power utilities deal activity. It is the latest in our Power Deals annual series. We include deals involving power generation, transmission and distribution; natural gas transmission, distribution and storage; and energy retail. Deals involving operations upstream of these activities, including upstream gas exploration and production, are excluded. Renewable deals are covered in our sister publication, Renewables Deals and therefore excluded. The analysis is based on published transactions from the Dealogic 'M&A Global database' for all power and gas utility deals. It encompasses announced deals, including those pending financial and legal closure, and those which are completed. Comparative data for prior years may differ to that appearing in previous editions of our annual analysis or other current year deals publications. This can arise in the case of updated information or methodological refinements and consequent restatement of the input database. Deal values are the consideration value announced or reported including any assumption of debt and liabilities. The Russian Federation is treated as a geographic entity in its own right. We have considered Asia Pacific as a region including Australasia, except if otherwise explicitly stated. All presented numbers of deals are inclusive of those deals with no reported value, unless specified. PwC firms help organisations and individuals create the value they're looking for. We're a network of firms in 158 countries with close to 169,000 people who are committed to delivering quality in assurance, tax and advisory services. Tell us what matters to you and find out more by visiting us at www.pwc.com.